The commercial success of a product stems from its intrinsic qualities. But many other, more subtle, factors come into play, like its positioning in the marketplace or whether or not it's launched at the right moment. In the case of a motorcycle, there's also an emotional element that can render conventional marketing strategies impotent. The Honda FT500 is a case in point. When it was launched, in the spring of 1982, big singles were enjoying an extraordinary boom. It was the golden age of the single-cylinder trail bikes, whose sales had been pushed to new heights by the enthusiasm generated by the Paris-Dakar rally. However, commercial logic dictated that a smart manufacturer insured the "refreshing" of his products by including a "strong" model; the strategy also required variants to be spin-offs. That was the case with the SR500 Yamaha, the highway version of the famed XT500. 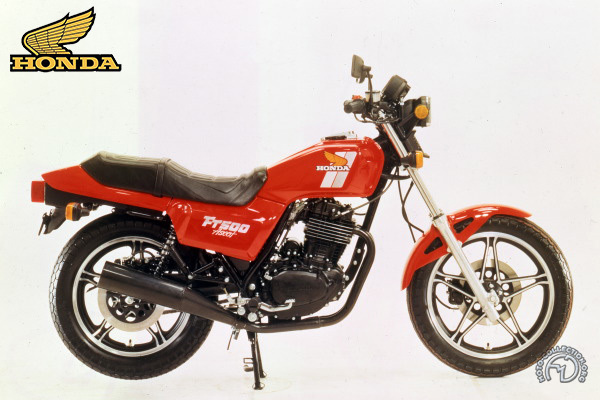 Since the launch of the XT500, Honda had been chasing Yamaha in an effort to close the sales gap in single-cylinder machines and had created a highway version off its XLS trail bike, calling it the FT500 Ascot. But if the SH500 recalled British bikes, the FT500 Ascot borrowed the "exotic" styling of American dirt track machines – "FT" stood for "Flat Track" and Ascot was in honor of America's famed Ascot dirt track. It was a bad decision. The Honda Ascot did not live up to the excitement of its name and some potential customers were far more excited by Paris-Dakar than by American dirt track racing. Handsomely styled, the Honda FT500 Ascot pioneered electric starting in the single-cylinder category.